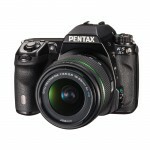 Pentax announced a new flagship digital SLR this week. The Pentax K-5 II has a weatherproof stainless steel and magnesium body, a 16.3-megapixel APS-C imaging sensor, full HD video and a new SAFOX X auto focus array, which they claim gives it the “broadest autofocusing EV range (-3 EV to +18 EV) in its class.” There’s also a second model, the 5-K IIs, which has all the same features but drops the anti-aliasing filter for more detail and better low light performance. The 16-megapixel CMOS sensor appears to be the same as that used in the K-30, but with updated PRIME II (PENTAX Real Image Engine) imaging processing. Based on expanded sensitivity, compared to the K-30, I expect the image quality has been improved by about a stop. The Pentax community has been grumbling about this round of Pentax camera announcements. They were hoping for something more than another APS-C sensor DSLR. 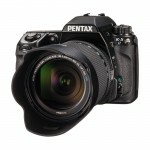 The pros and serious enthusiasts who own Pentax systems would really like a full frame DSLR in their upgrade path. Pentax does make a medium format digital camera, the award-winning 645D. But so far, all the digital SLRs they’ve made have had smaller, APS-C sensors. Instead of a bigger sensor, the Pentax digital SLRs have always offered a better feature set than comparably-priced competitor cameras. And the Pentax K-30, which I am testing right now, surprised me with its excellent image quality – much better than I’m used to seeing from APS-C sensor cameras. I expect the same is true for the K-5 II. It may not be the EOS-5D Mark III competitor that some Pentax shooters were hoping for. But after my experience with the K-30, I am pretty confident that it has better image quality and features than comparably-priced Nikon and Canon DSLRs. 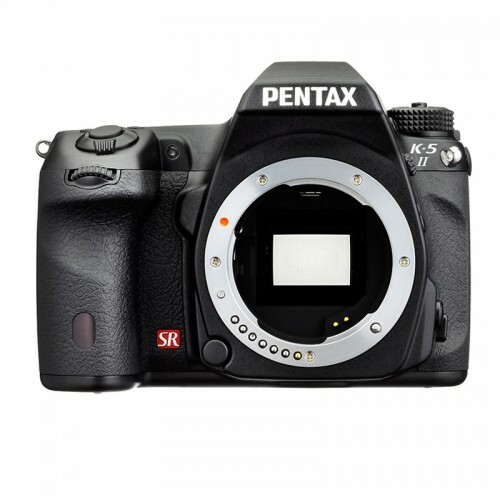 If you’ve been looking at high-end APS-C sensor digital SLRs and haven’t looked at Pentax yet, the Pentax K-5 II and K-5 IIs definitely deserve your attention. Both cameras should be in stores and available from online dealers next month (October, 2012). The K-5 II will sell for $1,199.95 for just the body. It will also be available as a kit with either the DA 18-55mm WR zoom or DA 18-135mm WR zoom lens, for $1,349.95 or $1,549.95, respectively.